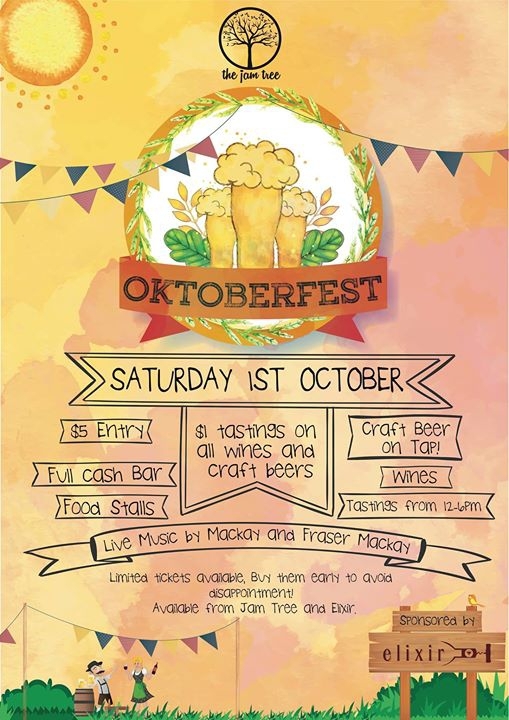 The Jam Tree will be holding their first annual Oktoberfest on 1 October 2016!! 13 different Craft beers on tap with over 20 varieties of bottled craft beers available. Both tasting trays and individual tastings on offer. Wine & Gin for the ladies as well as food stalls and live music. Limited tickets - available from The Jam Tree and Elixir for $5.00.